The search for safe and environmentally friendly renewable energy sources is one of the biggest challenges facing humanity. One environmentally friendly and virtually inexhaustible energy source under development is the next generation of nuclear reactors and, along with them, new types of fuels. But to test the performance of these new fuels in a timely fashion, we need new methods to investigate the fuel’s structural, thermodynamic and chemical characteristics. Joseph Graham, assistant professor of nuclear engineering, has developed a mobile platform the size of a microwave that can see through and image spent nuclear fuel using gamma radiation. The fuel in a reactor — typically uranium — is placed into long metal tubes. The tubes are then sealed and placed in a reactor. These fuel pins undergo nuclear fission, where atoms split apart and release heat that produces electricity. Once the fuel is used up, the pins are removed from the reactor. However, that fuel is still radioactive and must be kept submerged in water to cool for a period of time that can vary from weeks to years. 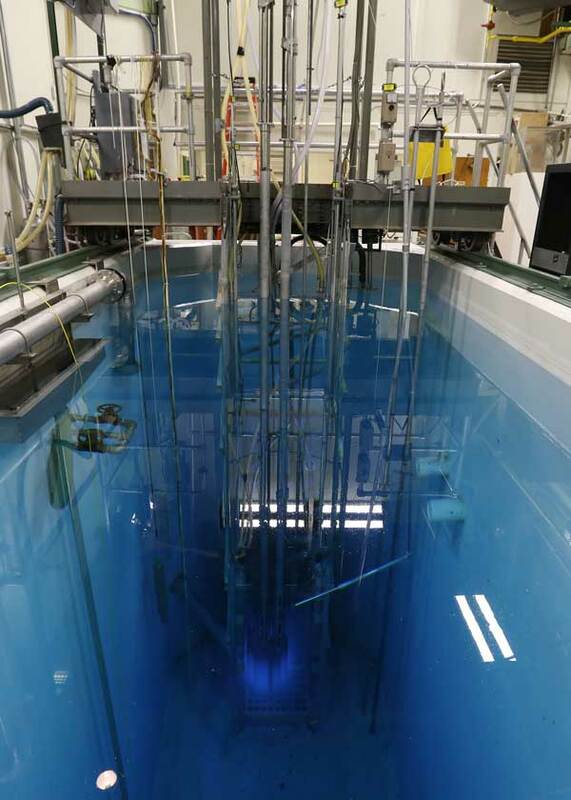 By lowering Graham’s new measuring device into the pool, researchers can begin to measure the fuel’s changes throughout the pin between irradiation cycles, almost as soon as it is removed from the core. The fuel pins are thin, often the size of an ink pen. Their size allows the scan to pass through them in much the same way a dental X-ray goes through human tissue to produce high-resolution images. Graham’s research is supported by the U.S. Department of Energy. He is working with Hyoung-Koo Lee, associate professor and head of nuclear engineering, and Nicholas Woolstenhulme, a staff engineer at Idaho National Laboratory.